Ceremony Date: Sunday, August 2nd. What a sweet summer wedding at Cedarville Park! 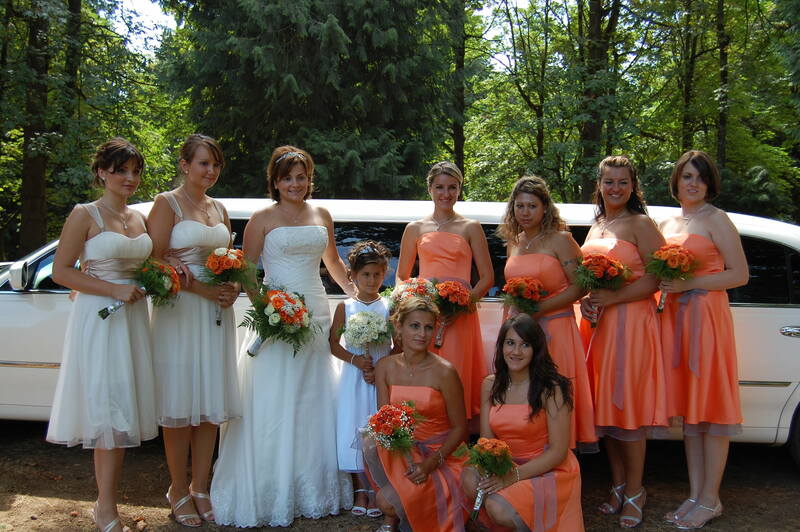 The bride was dazzling in beaded satin accented by her ladies in yummy tangerine. Puffs of white tulle & shades of orange roses were everywhere. Festivities began with the ceremony at 12:27 pm & continued until midnight. The event was a perfect blend of modern tastes & old country tradition. The bride & groom, both in the health care industry, were born in Yugoslavia & most of their 200+ guests spoke only moderate English. The food was delicious (& a welcome change of menu), the lodge was spacious & the music was lively. Love, the universal language, was definitely in the air. Congratulations, Ivana & Igor … enjoy your Jamaican honeymoon! Planning a wedding? Make it a heavenly one with A Festive Heart. 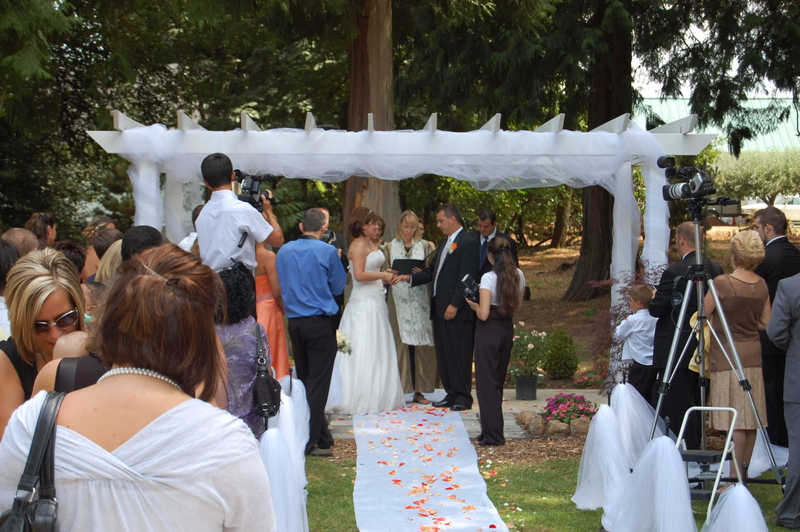 Check out the Wedding Officiant page and book today!